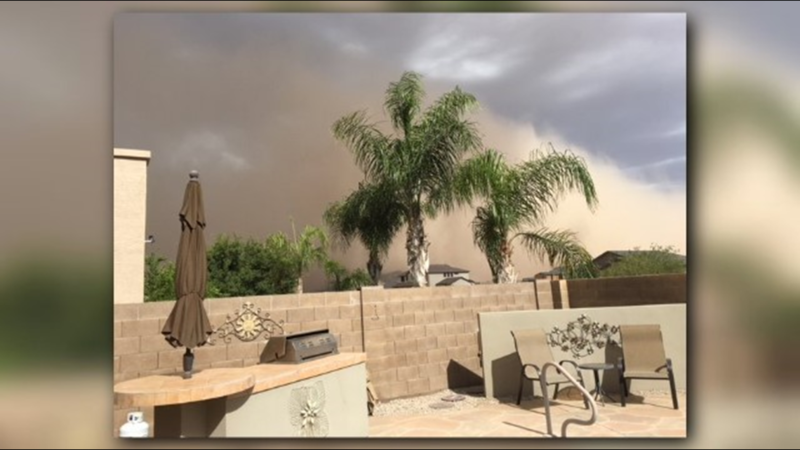 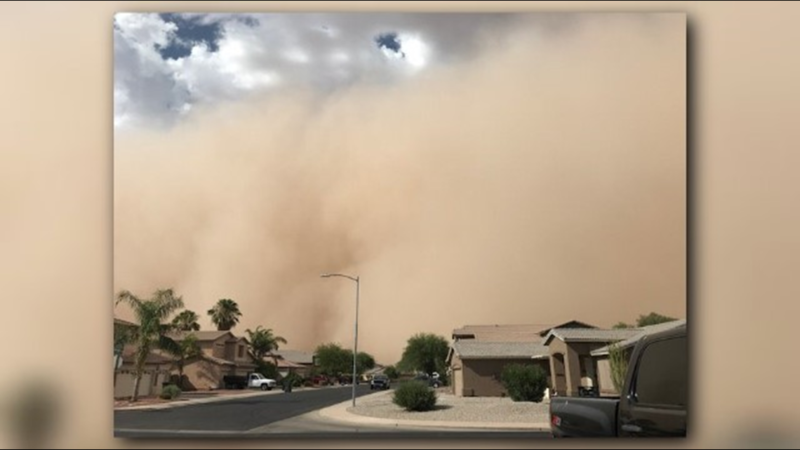 Rod Vandiver shared this photo of the dust storm moving into San Tan Valley July 5, 2018. 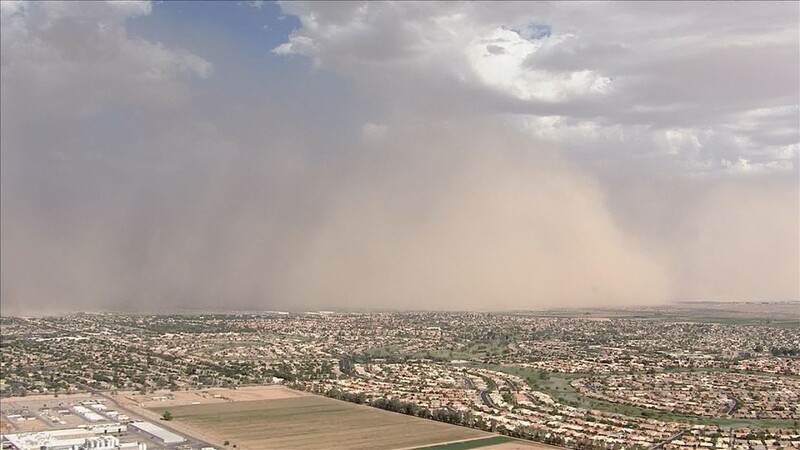 Sky 12 stays in front of a fast-moving a wall of dust that died out over the Phoenix metro area July 5, 2018. 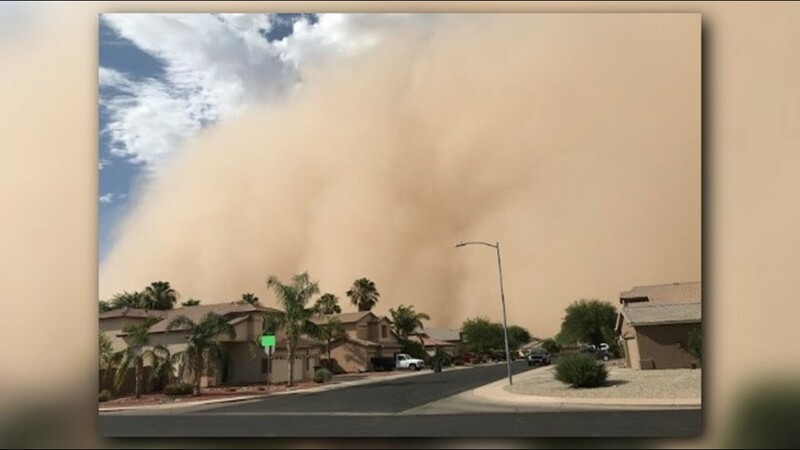 Sky 12 tracks a wall of dust as it moved from south to north to fizzle out over the Phoenix metro area July 5, 2018. 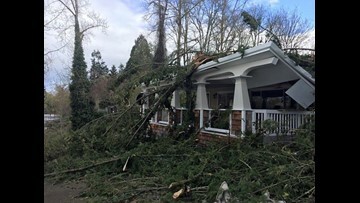 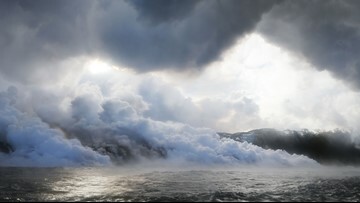 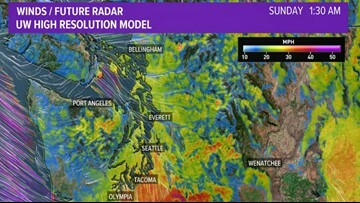 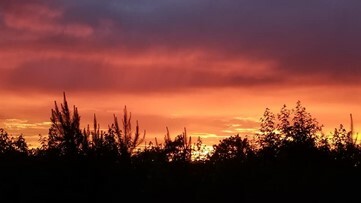 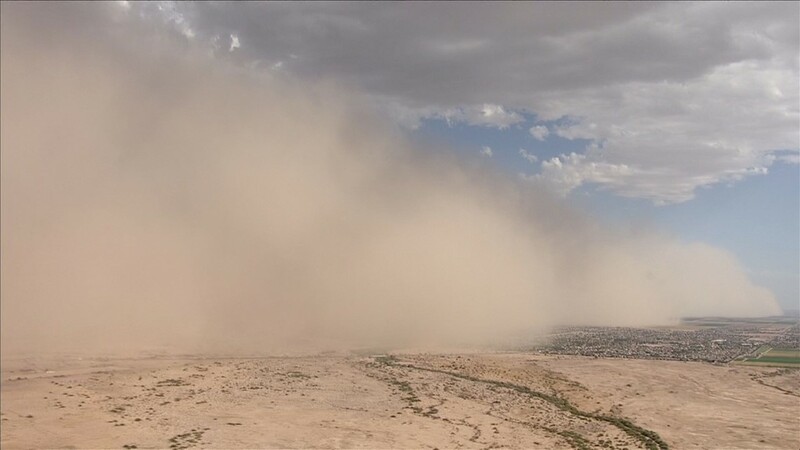 Sky 12 tracks a wall of dust, sometimes refered to as a "haboob," on July 5, 2018. Sky 12 tracks a wall of dust as it hits Casa Grande, Arizona, July 5, 2018. 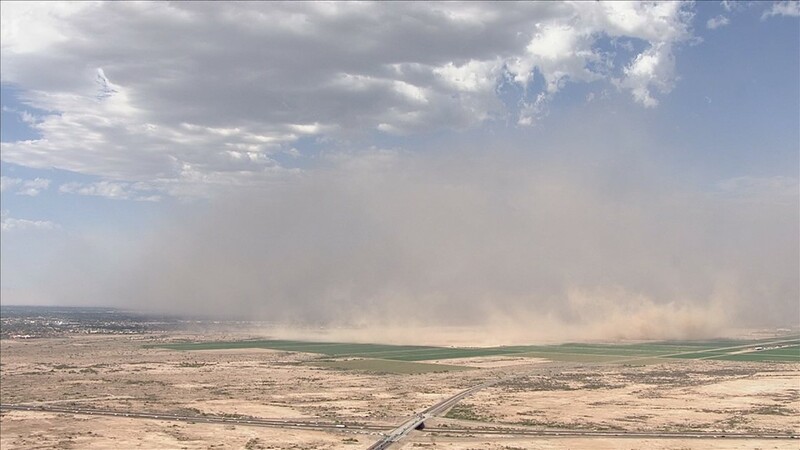 Impressive image as Sky 12 tracks a wall of dust south of the Phoenix metro area July 5, 2018. 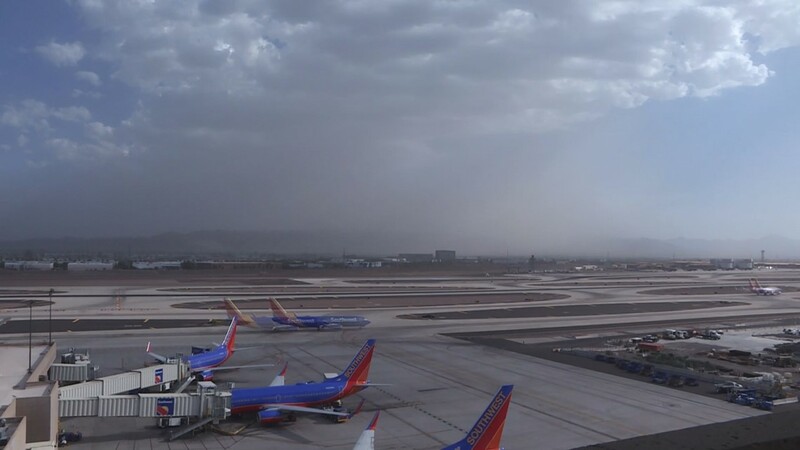 The remnants of a wall of dust cast a shadow over Sky Harbor International Airport in the Phoenix metro area July 5, 2018. 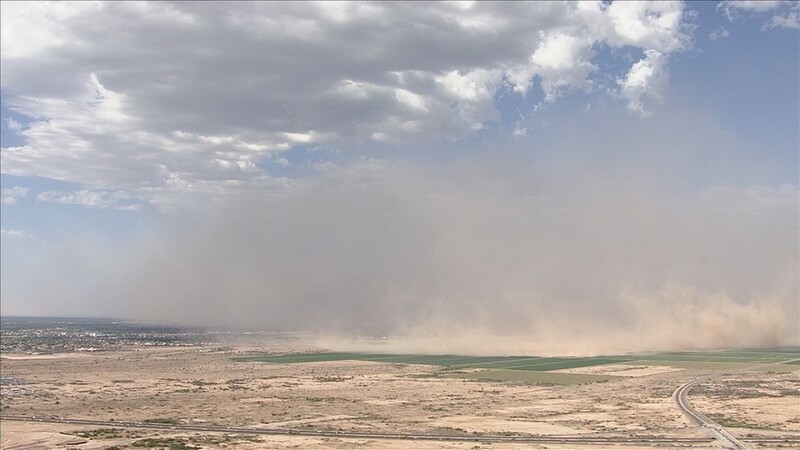 Sky 12 tracks a defined wall of dust outside the Phoenix metro area July 5, 2018. 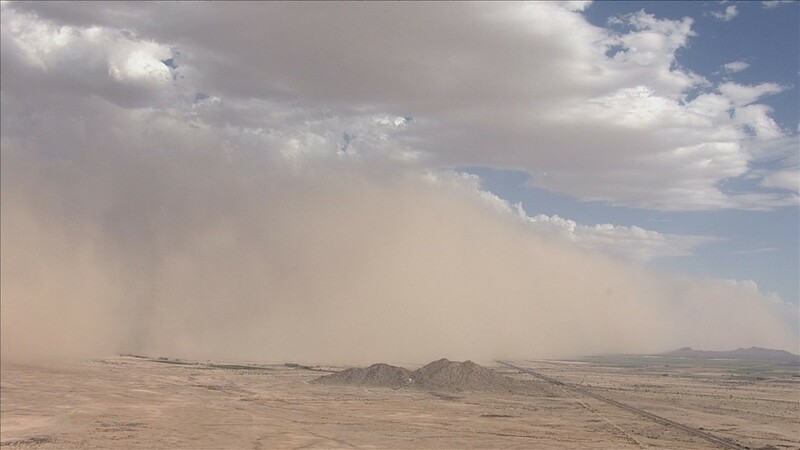 It's the seventh anniversary of the massive dust storm that put the word "haboob" on the map. 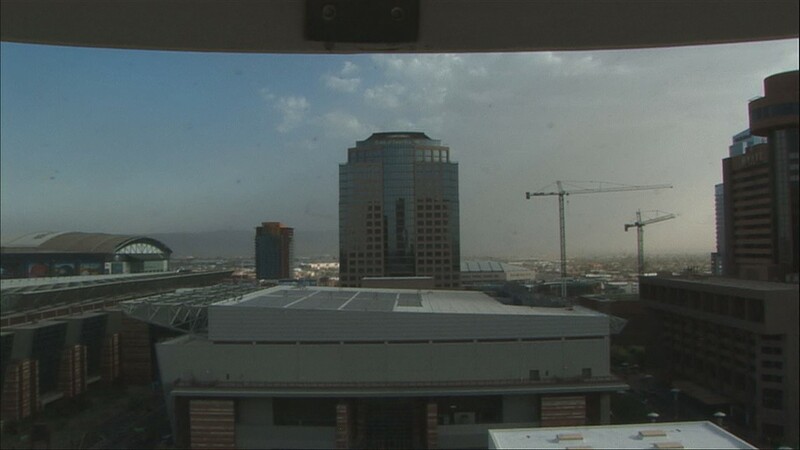 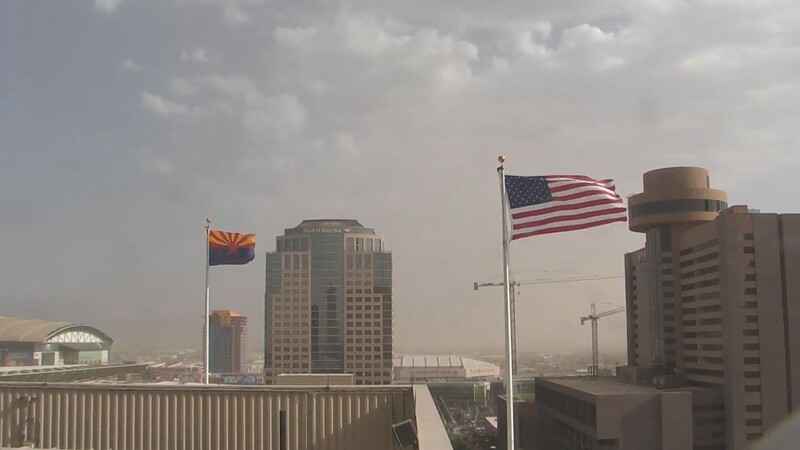 The view from Studio 12A as a dust storm dies out over the Phoenix metro area July 5, 2018. 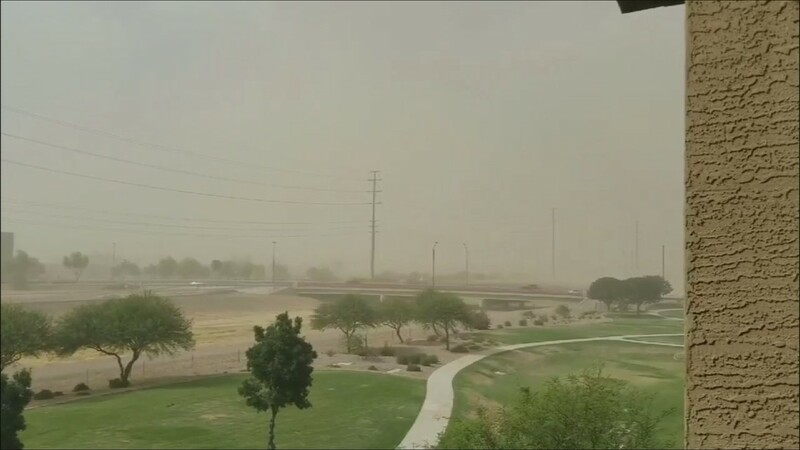 The view from Studio 12A to the east as a dust storm dies out over the Phoenix metro area July 5, 2018. 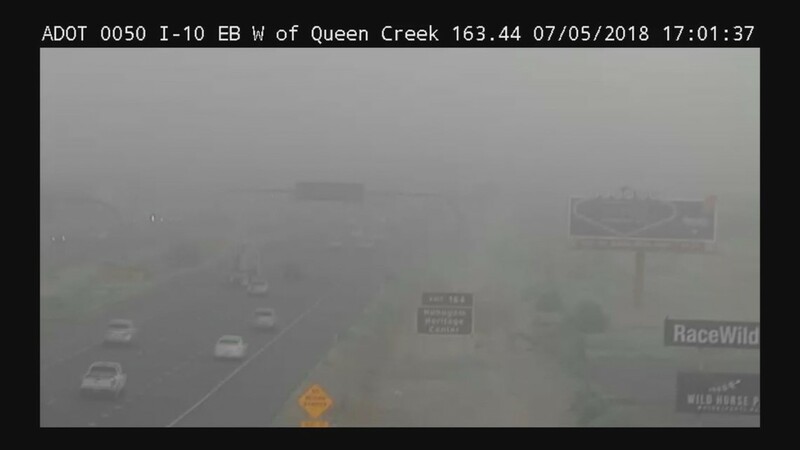 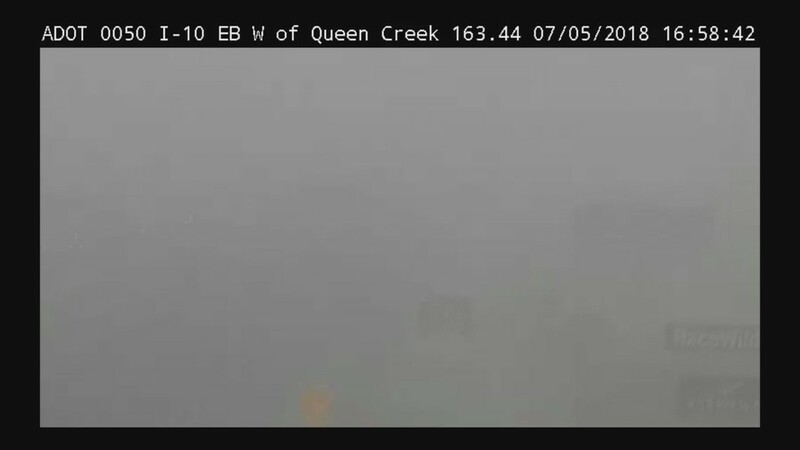 ADOT camera shows I-10 has almost no visibility during a dust storm on July 5, 2018. 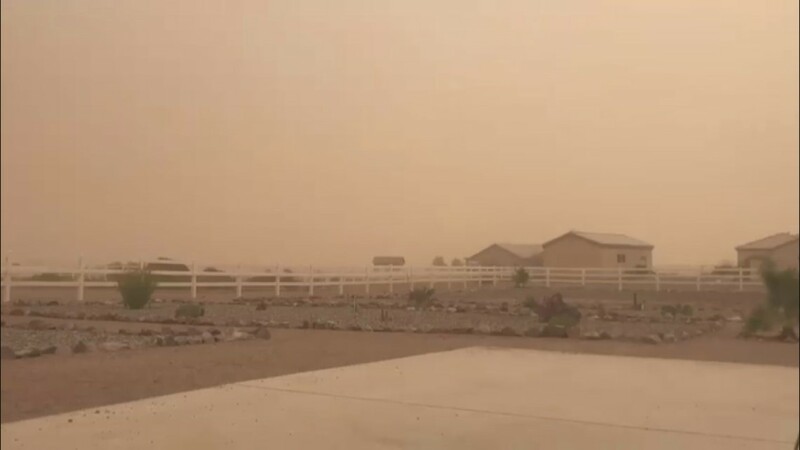 I-10 has low visibiltiy during a dust storm on July 5, 2018. 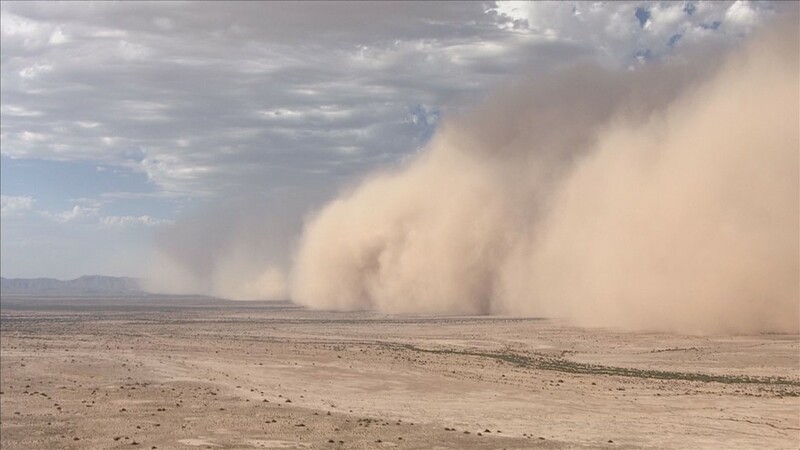 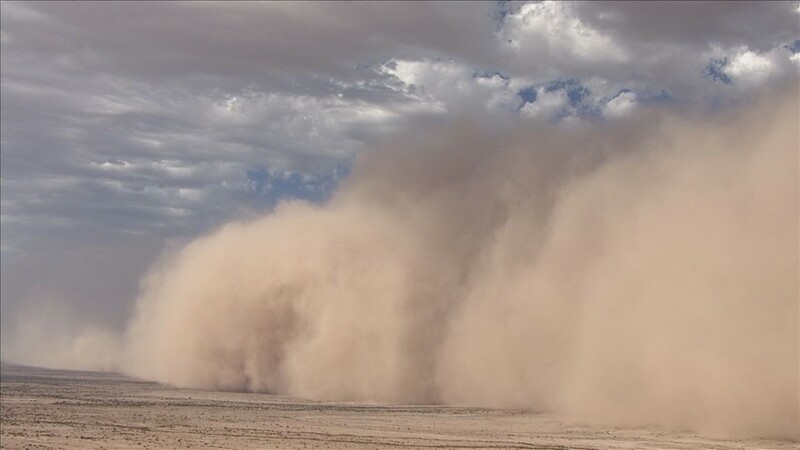 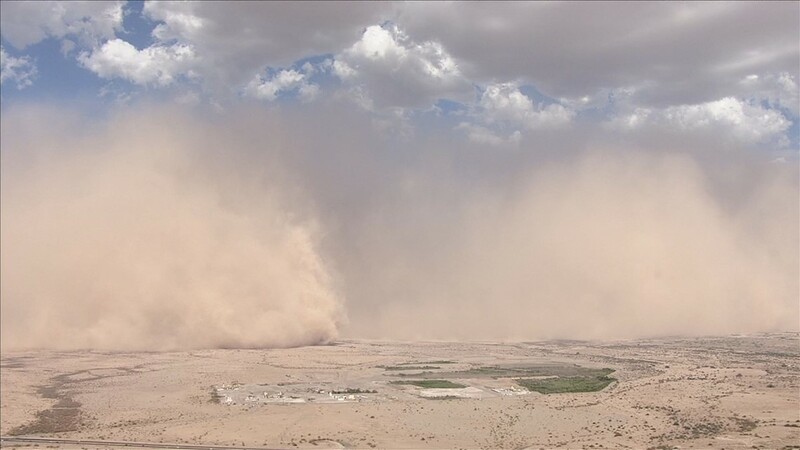 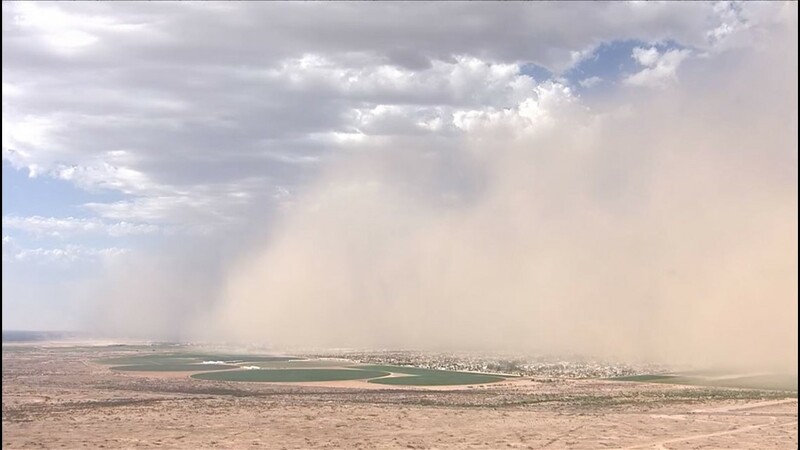 12 News viewer Valerie Chavez shared a photo of the dust wall in Casa Grande on July 5, 2018.